Cell phone use and brain tumours linked in CERENAT case-control study. A case-control study in France confirms the possibility that using cell phones increases the risk of primary central nervous system tumors such as gliomas and meningiomas. Long term studies tend to find an positive association between use of cell phones and risk of brain tumors while short term studies tend not to find such associations. Because it takes time for brain tumors to develop, the results of long term studies concern some consumers. The current study involved 253 cases of gluomas and 194 cases of meningiomas registered in four areas in France between 2004 and 2006 and 892 matched controls from the local electoral rolls. There was no significant association between cell phone use and risk of brain tumors when all cell phone users were compared with non-users even though users were numerically but not statistically significantly (24%) more likely to be diagnosed with brain tumors. However, among those who heavily used cell phones were compared to non-users, cell phone use was found associated with 189% and 157% increased risk of gliomas and meningiomas, respectively. The risks were higher for gliomas, temporal tumors and among those who used cell phones for their professions and in urban areas. Heavy cell phone users were those who used cell phones for a total of more than life-long cumulative 896 hours. If a person used cell phones for 30 minutes a day for five years, then he would be a heavy user. Some dietary supplements can be used to minimize the adverse effects of radio-frequency radiation from cell phones. 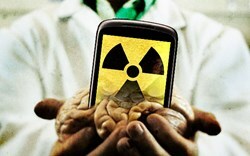 Studies show that cell phones can increase oxidative stress, which may be why users are at higher risk for brain tumors. Therefore, anything that can reduce oxidative stress can be helpful. Coureau G, Bouvier G, Lebailly P, Fabbro-Peray P, Gruber A, Leffondre K, Guillamo JS, Loiseau H, Mathoulin-Pélissier S, Salamon R, Baldi I. Mobile phone use and brain tumours in the CERENAT case-control study. Occup Environ Med. 2014 Jul;71(7):514-22.